Like any award show, the 2014 Emmys have been full of surprises. 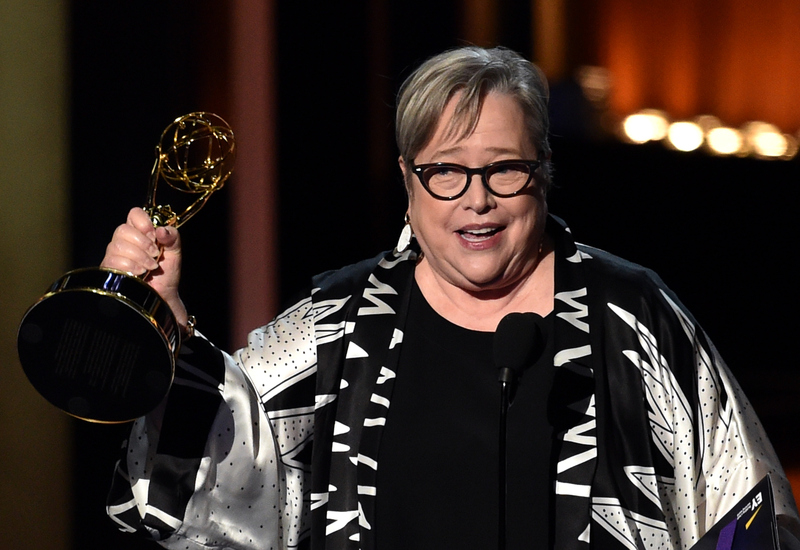 And while Jim Parsons taking home another Emmy (and a million dollar an episode paycheck) was shocking enough, Kathy Bates winning an Emmy for her work in American Horror Story: Coven seemed to be too much for the actress herself to handle. Upon hearing her name being called, Bates clutched her hand to her chest and her mouth dropped agape. "It couldn't be... could it?!" she was surely musing. On the other side of the spectrum, Julia Roberts, who was nominated for HBO's The Normal Heart, didn't look too pleased to be snubbed of an Emmy for Best Supporting Actress in a Miniseries or Movie. Perhaps this is because, if you'll recall, this isn't the first time Kathy Bates has conquered Julia Roberts in an award show. During the 1991 Oscars, it was Bates vs. Roberts, and ultimately Bates took home the Oscar for Misery, while Roberts' Pretty Woman would be eternalized on television reruns. Check out videos of both women's reactions to the award below.